Medeco3 All-In-One Cam Lock Kits. 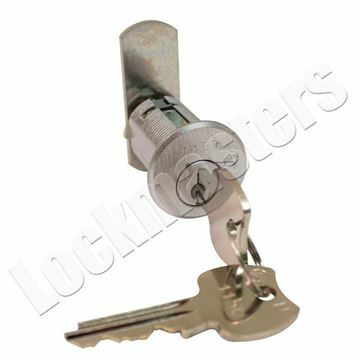 M3 11/8'' Length 5 Pin Cam Lock Kit. 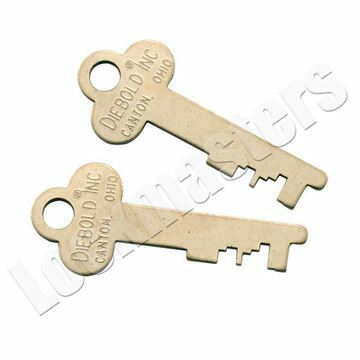 Keyway " DL " Finish Nickle " T "= Pinned All cam lock kits include: CP-040500 pronged washer, CT-A05 flat cam, CT-D05 flat cam, CT-J01 offset cam, CT-H07 offset cam, CP-040451 90 degree stop washer, CP-050060 3/4" - 27 mounting nut and 2 keys. 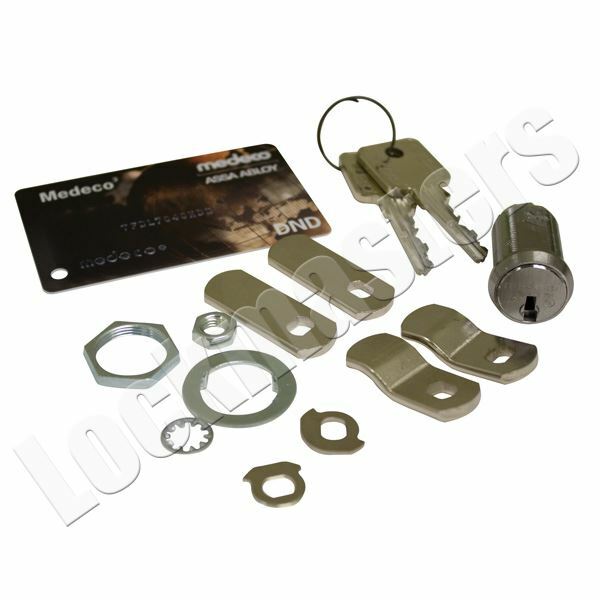 Master keying is not available in a cam lock kit, but may be custom ordered with specific cam locks listed on the following pages in the Medeco catalog.